In 2011 a Newcastle University study examined 11 people with type 2 diabetes. Under close medical supervision, their caloric intake was limited to 800 calories per day for 8 weeks. 600 of those calories were from 3 Optifast shakes a day, and the remaining 200 were from non-starchy vegetables. When the 8 weeks was over, the participants were coached on portion control, healthy eating, and healthy exercise. After 3 months, 7 of the 11 people had been declared free of diabetes and no longer required medication. This study came about after researchers noticed a pattern in diabetic patients after having gastric bypass surgery. In many of the patients, fasting blood sugar levels and insulin production returned to normal within 8 weeks of the surgery. After significant weight loss, the body was able to remove fat around the liver and pancreas. Just losing one gram of fat around the pancreas was all that was necessary to restore normal function to the organ. After blood sugar levels returned to normal the β-cells in the pancreas were able to heal and resume normal insulin production. Insulin resistance was also decreased, which meant the pancreas no longer had to work overtime to produce more insulin. 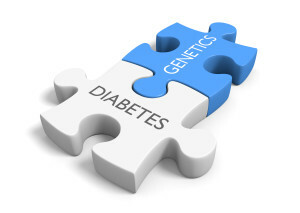 Not all diabetics are the same, and rapid weight loss may not reverse all diabetic conditions. Many people are unaware that there are 16 different types of diabetes. Type 2 diabetes brought on by excess fat around the pancreas and liver may be reversed by rapid weight loss. 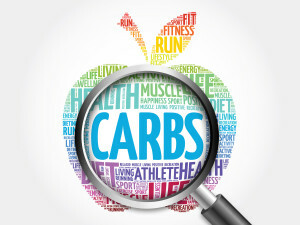 It is imperative that you discuss any changes in diet and exercise with your doctor to be sure that you are healthy enough for such a drastic cut in caloric intake. 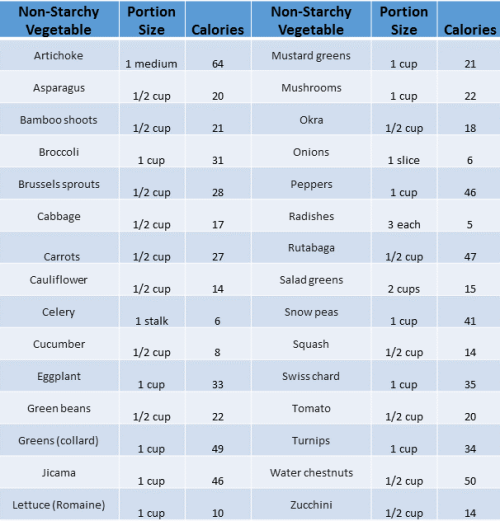 Here is a chart of non-starchy vegetables and their caloric values. While going from a diet of over 2,500 calories to only 800 calories is an incredibly hard undertaking, choosing the right vegetables can be a big help. If you are only allowed 200 calories from food a day, you might as well get the most bang for your caloric buck. Most of the vegetables below are either raw or boiled with salt and drained. A salad of 1/2 cup cucumbers, 1 celery stalk, 1/2 cup mushrooms, 2 cups salad greens, 1/2 cup tomatoes, and 2 tbl balsamic vinegar. And a plate of cooked vegetables including 1 cup broccoli, 1/2 cup green beans, 1/2 cup mushrooms, 1/2 cup spaghetti squash, and 1 tbl of butter. Diabetes is on the decline. 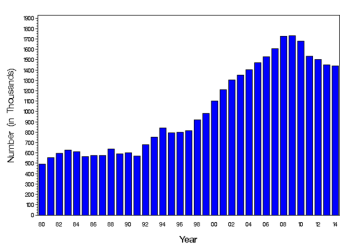 Since 1990 the amount of new cases of diabetes diagnosed every year has been going up. New statistical evidence is showing a significant decrease from 1.7 million new diagnoses in 2010 down to 1.4 million in 2014. There are many potential factors that can be attributed to the decline in new diagnoses. For decades, overall health, eating habits, exercise, and obesity rates had been on the decline. Recently, however, there have been significant advances. Soda consumption has decreased by a quarter since 1990. Americans are increasing their exercise as well. In 2000, the CDC estimated that only 30% of the population was getting enough exercise. In 2013 that percentage rose to 55% of adults. Children are also seeing a significant increase. Caloric intake in adults and children have dropped by a small margin. This is considered to be a good step in the right direction, however to impact overall health, more needs to be done. 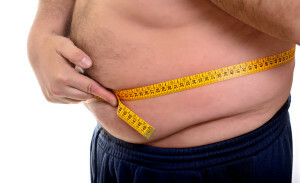 Obesity rates, considered a major risk factor in diabetes, have remained flat. The hope is that with more education, all of these numbers will continue to improve. Education is an important factor in diabetes prevention. Many schools, cities, states, and the Federal government have implemented education programs to teach people about the importance of living a healthy lifestyle. In some poor uneducated areas of the country, people do not have access to the health care that they need, and were simply never taught about it. Typically in poorer communities, things like nutrition, exercise, blood pressure, cholesterol, blood sugar, and diabetes were not even talked about. Awareness campaigns have been very successful at getting the information about these topics to everyone in the country. Those are not the only areas of education that need to be improved though. The level of education a person receives is also an important factor. Well educated people have seen the biggest drop in diabetes. People with a high school degree have see a slight decline in diabetes diagnoses, and people without a high school education have remained fairly stagnant. 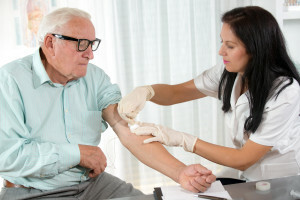 The decrease in new diagnoses of diabetes is definitely a step in the right direction. Hopefully, with more education about the importance of diet, exercise, and overall health; the numbers of new diagnoses of diabetes will continue to decline. The holidays can be a challenging time for managing diabetes. There are so many comfort foods that we love to eat around the holidays. Fighting the urge to gorge ourselves can be hard. But with a little prior planning and self control, you should be able to enjoy almost all of your favorites, in moderation of course. Before you start cooking, consider any changes you can make to your favorite foods to make them more blood sugar friendly. Instead of mashed white potatoes, try substituting mashed cauliflower. Instead of putting marshmallows on top of your sweet potatoes, try just sprinkling some cinnamon on top. There are so many non-starchy vegetable options available. Making a variety of vegetables can make your holiday meal and healthy, hearty, and beautiful. 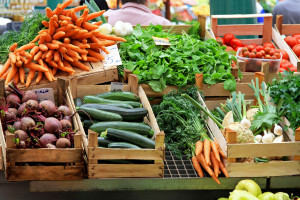 Some examples of non-starchy vegetables include: greens, mushrooms, asparagus, green beans, cauliflower, broccoli, peppers, zucchini, brussel sprouts, peas, eggplant, pumpkin, carrots, and many more. Just a selection of a few of these will add color, flavor, and variety to any holiday feast. Focus on lean proteins. 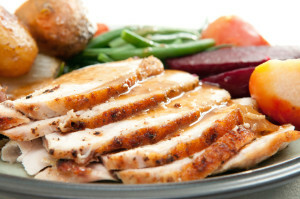 Turkey, chicken, pork roast, salmon, steak, lamb chops, and venison are all great options. They are all extremely versatile, and can be seasoned almost any way you prefer. Before you get ready to make your plate, start with a plan. Break your plate down into fourths. Half of your plate should be filled with non-starchy vegetables. A quarter of your plate can have small portions of carbohydrates and your favorite comfort foods. The final quarter of your plate should consist of a lean protein. Fortunately, most things in moderation are fine for a diabetic to eat. With so many diverse and delicious choices for both sides and meats, having a enough satisfying options at your celebration should be a piece of cake. Just remember to think about your options in advance, and hopefully you will be able to enjoy the celebrations without sacrificing your health! 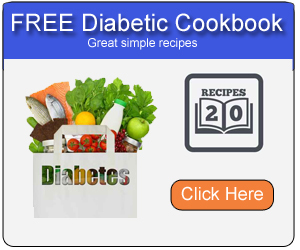 An estimated 86 million adults over the age of 20 have prediabetes. Prediabetes is diagnosed when the person has a high blood glucose level, but it is not high enough for a diagnosis of diabetes yet. 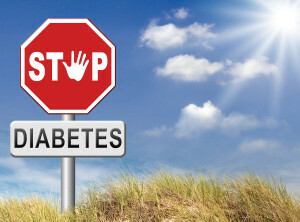 If left untreated, prediabetes can develop into full blown type 2 diabetes. Get more Exercise – Ideally you should get at least 30 minutes of physical activity at least 5 days a week. This will lead not only to a reduction in fat, but also a lower blood glucose level. Lose Weight – Even a small reduction in weight, just 5-7% has been shown to reduce the likelihood of developing type 2 diabetes by up to 58%. In a person weighing 200 pounds, that is only 10 – 14 pounds. Eat a Healthy Diet – Try to make your meals as colorful as possible. This will ensure that you are eating a healthy balanced diet. Try to eat at least 5 servings of fruits and vegetables a day. 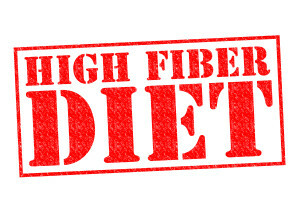 Eat more Fiber – Fiber is available in a number of foods; whole grains, vegetables, even coconut oil. It will help you feel fuller longer, which will allow you to eat less. It also is an important part of the digestive process. Get Plenty of Sleep – Not getting enough sleep can make it harder for your body to properly use insulin. This can lead to higher blood glucose levels. It is also much harder to lose weight when you are sleep deprived because your body is more stressed than normal. Have an A1C Test Performed Annually – Changing your lifestyle can be hard and frustrating. Check in with your doctor regularly. Being told about the positive changes can be very uplifting and help to keep you on track. If your A1C numbers are not better, you doctor will be able to suggest changes that you can make to avoid developing diabetes.